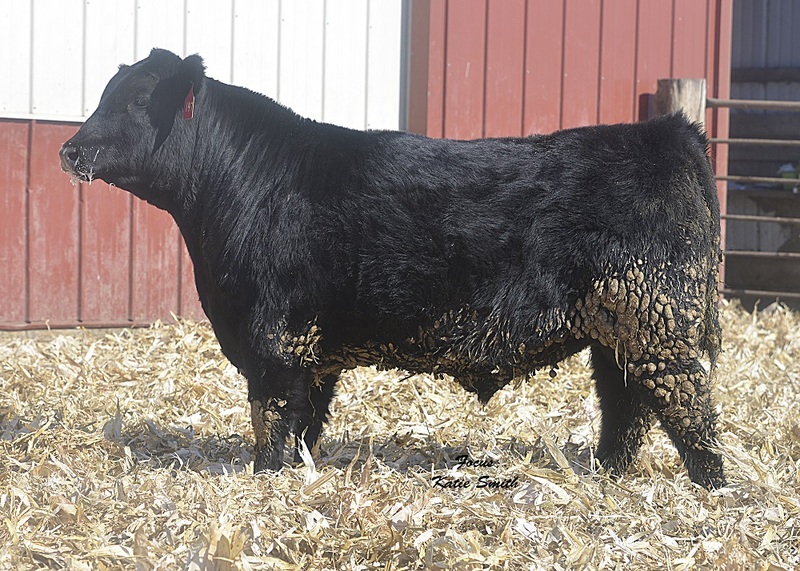 CLICK HERE TO OPEN THE CATALOG FOR THIS SALE. 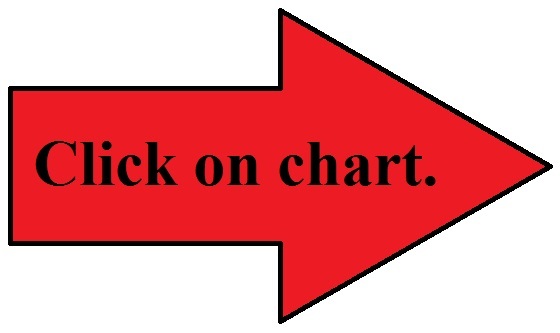 Click on the chart on the right for all the Yearling Bulls for sale. 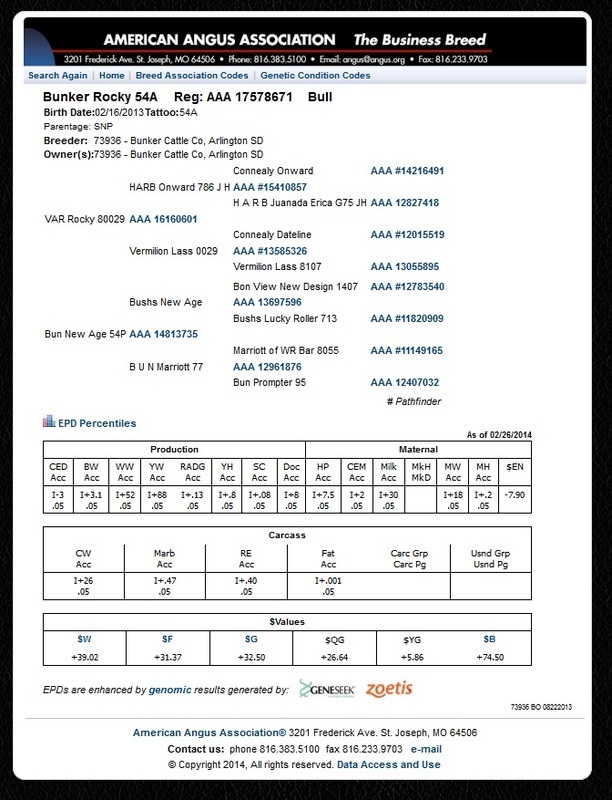 Each Yearling Bull is listed below, too. 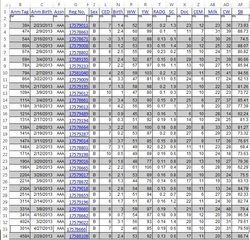 Click on chart to see larger version. 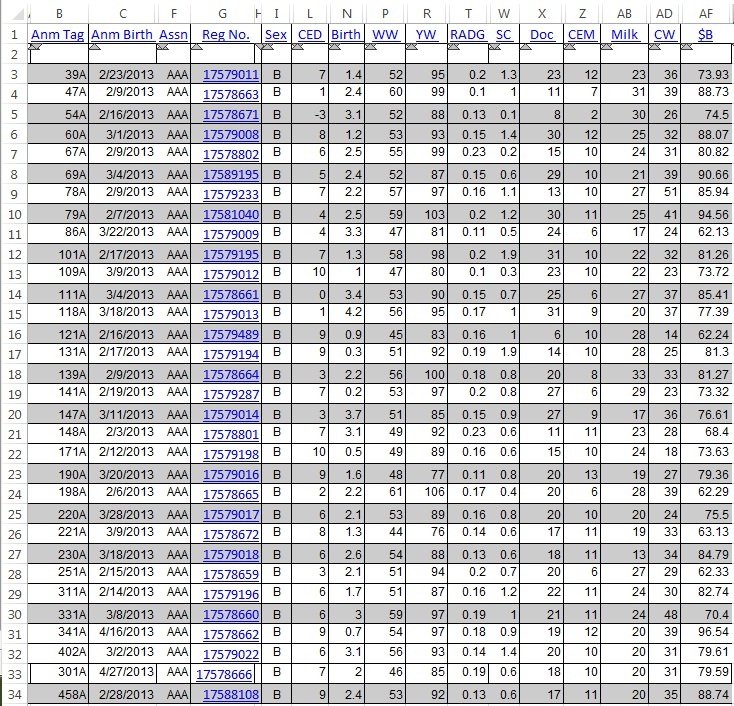 Click on chart for larger version. 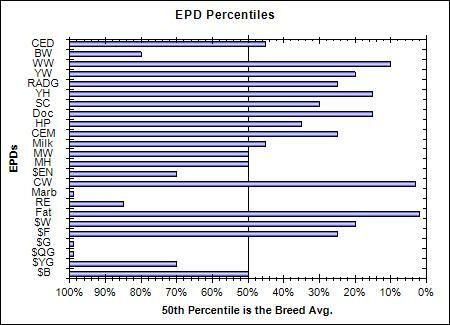 Click on graph for larger version. 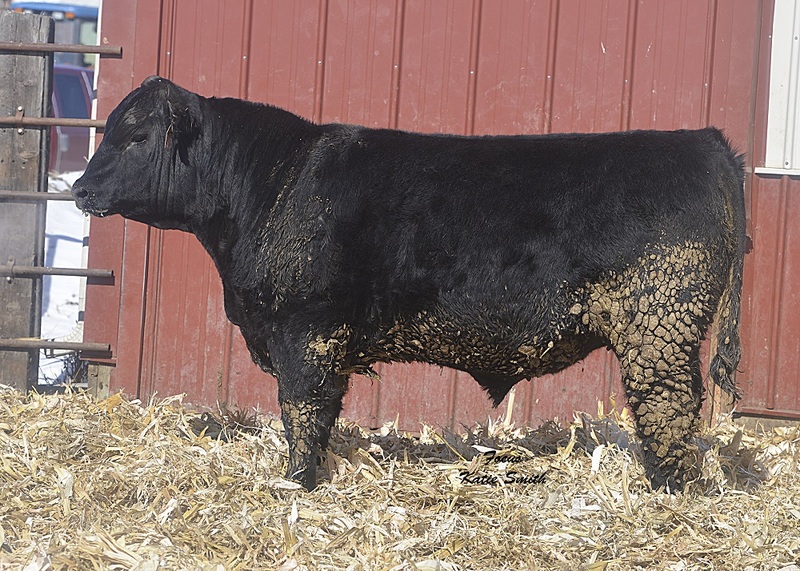 This bull has a feed efficiency rating of the top 10 % of the breed. 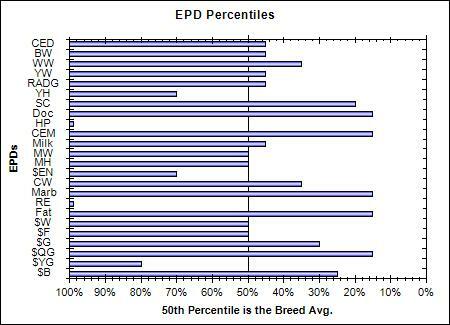 Along with calving ease direct and calving ease maternal. 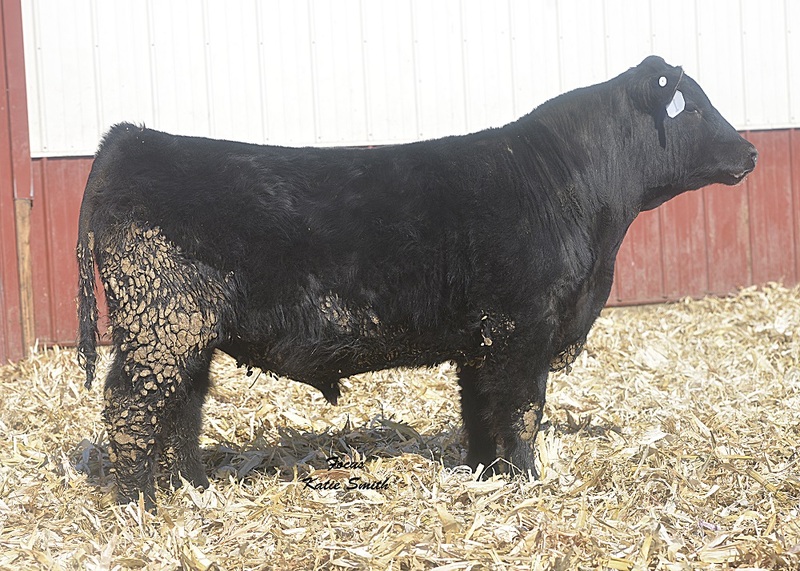 This bull will put a lot of pounds on your calves both ww and yw are in the top 5% of the breed. 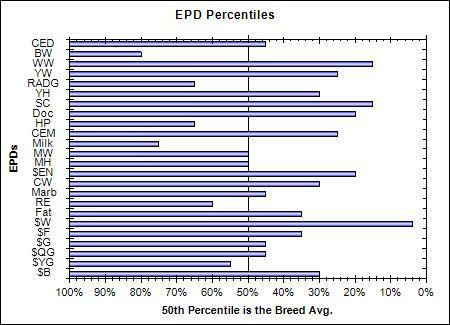 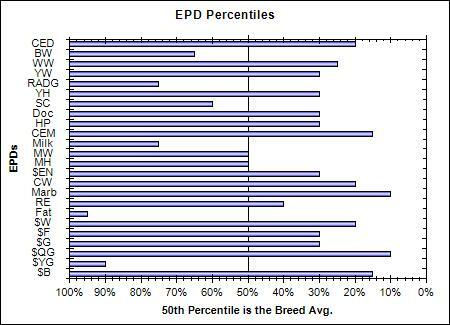 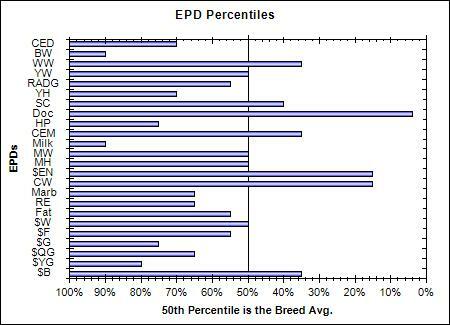 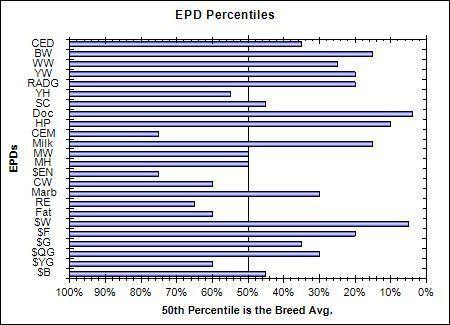 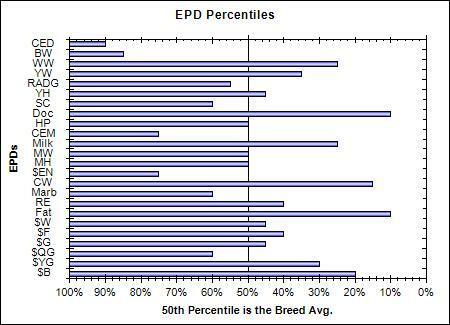 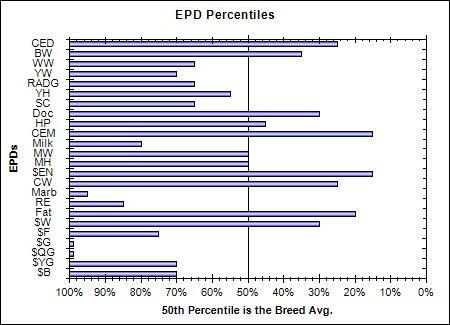 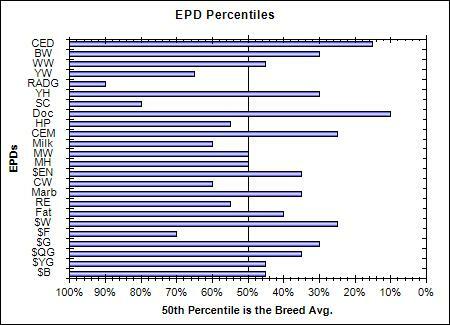 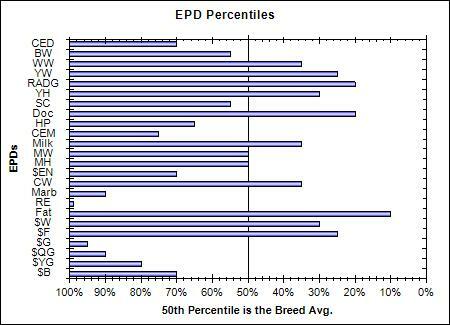 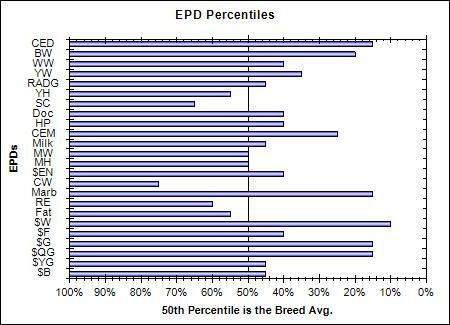 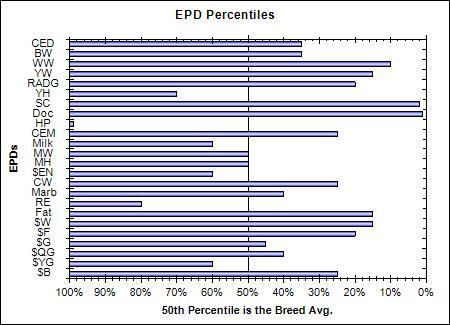 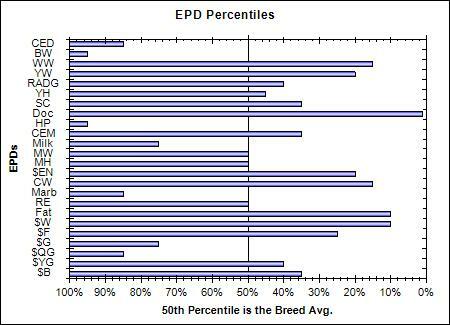 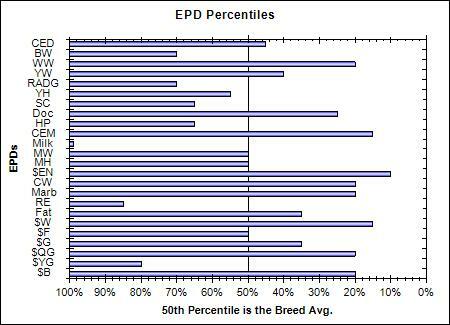 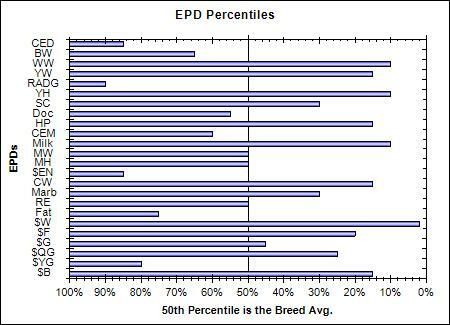 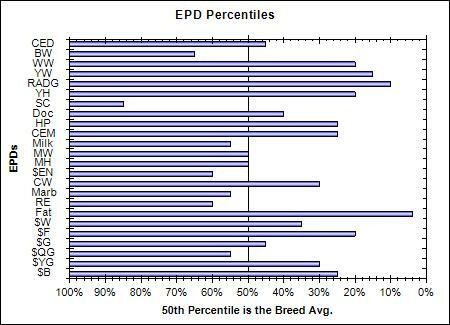 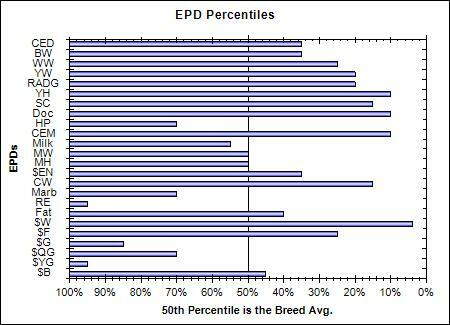 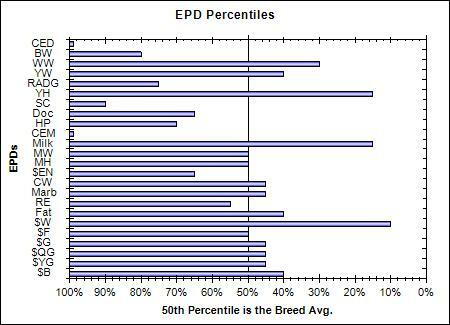 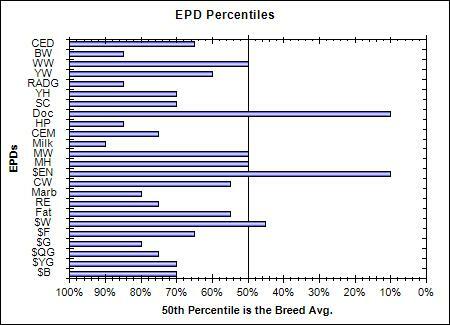 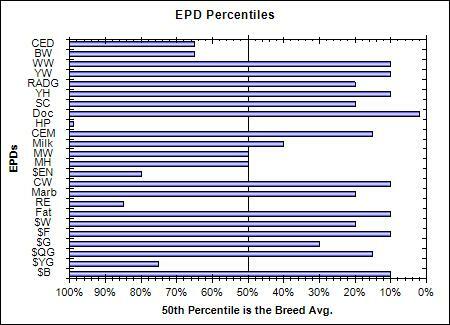 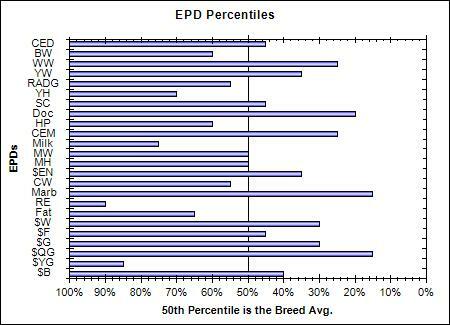 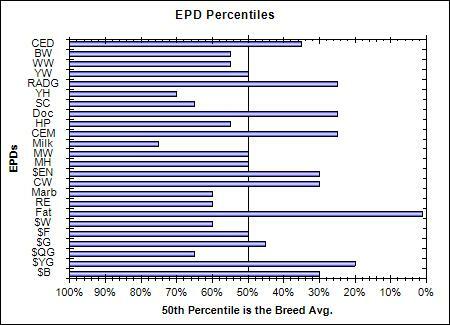 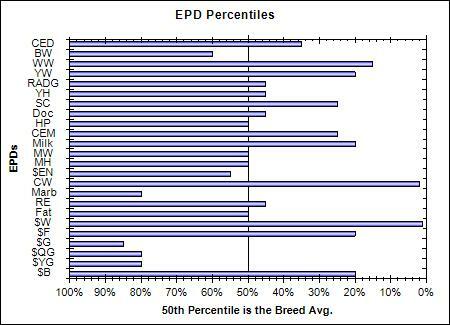 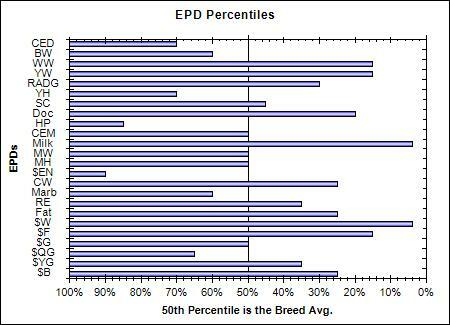 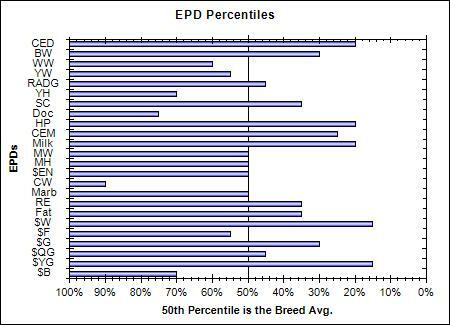 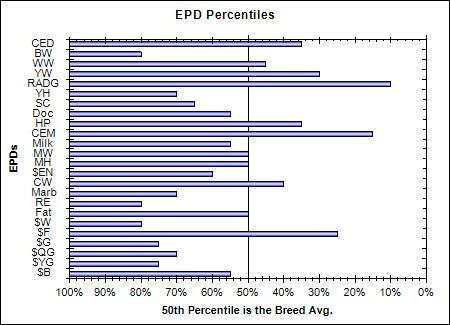 Excellent, excellent numbers on EPD’s on this bull all the way across the board with a very nice look. This bull is just massive; use this bull on cows to create massive calves and carcass date in the top 15% of the breed. You will like this bull he is fancy puts on a lot of pounds and will add milk to your females. 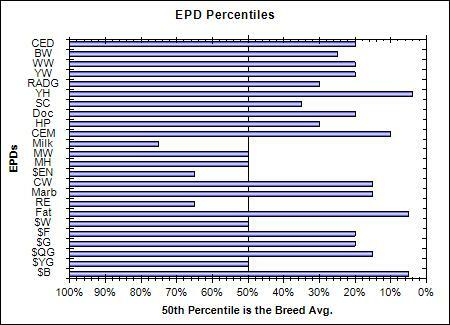 Nice looking bull that has real good uniformed EPD’s majority in the top 20% in the breed. He will put a lot of pounds on your calves and you could even use him on heifers his carcass weight is in the top 2% of the breed. 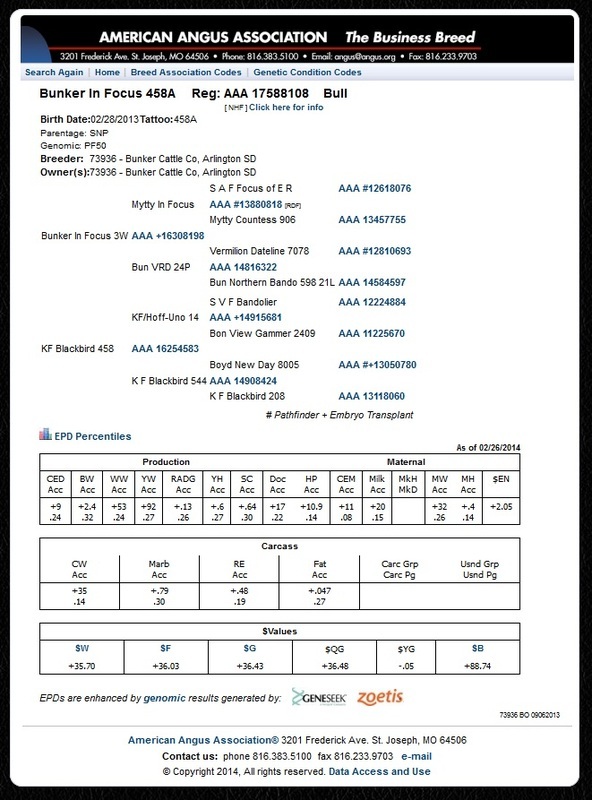 This is a great heifer bull use him with confidence on heifers he will also add weaning weight to your calves. 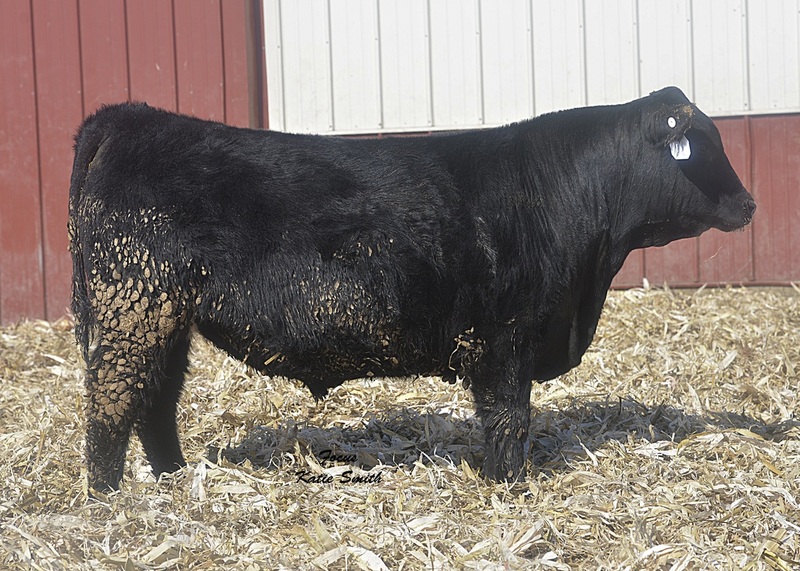 This bull has really good uniform numbers out of the Mitty in Focus bull. 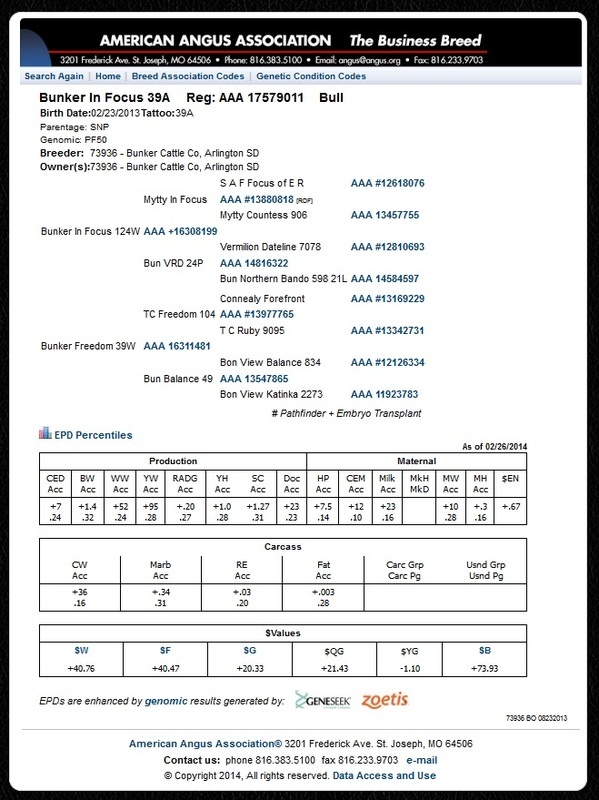 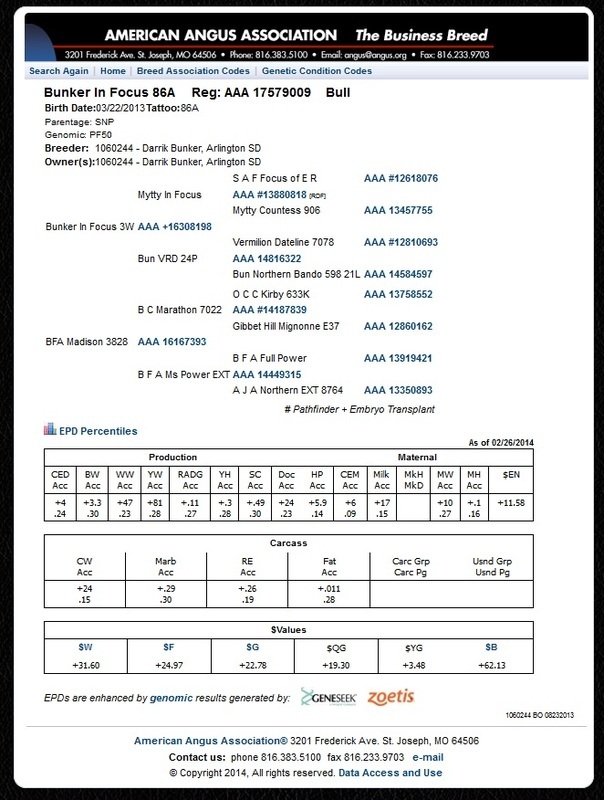 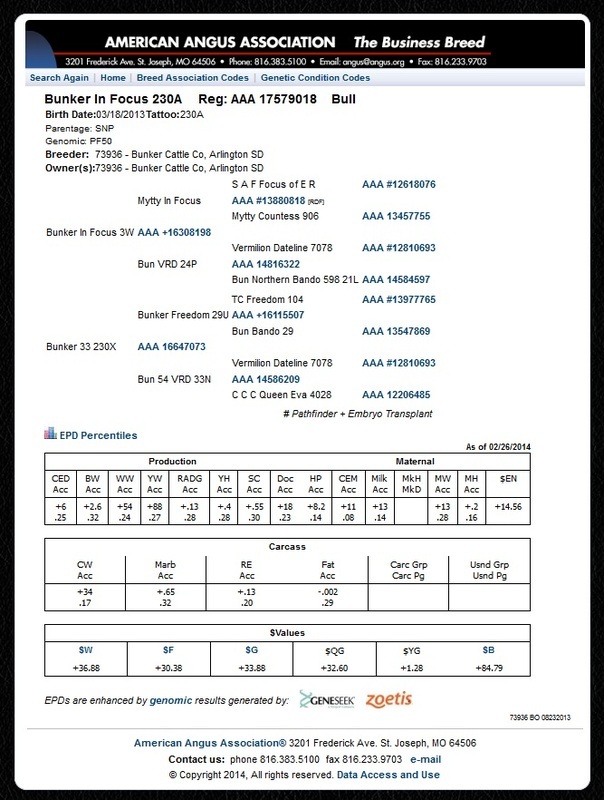 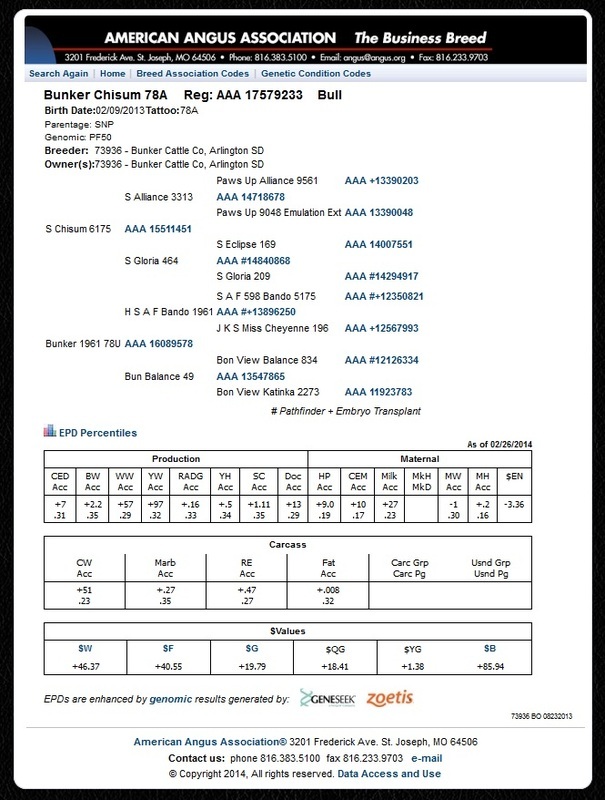 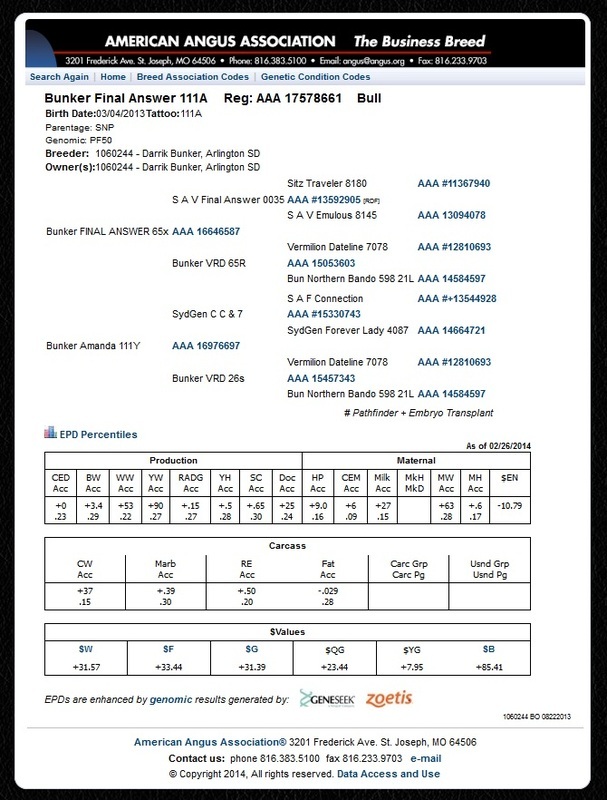 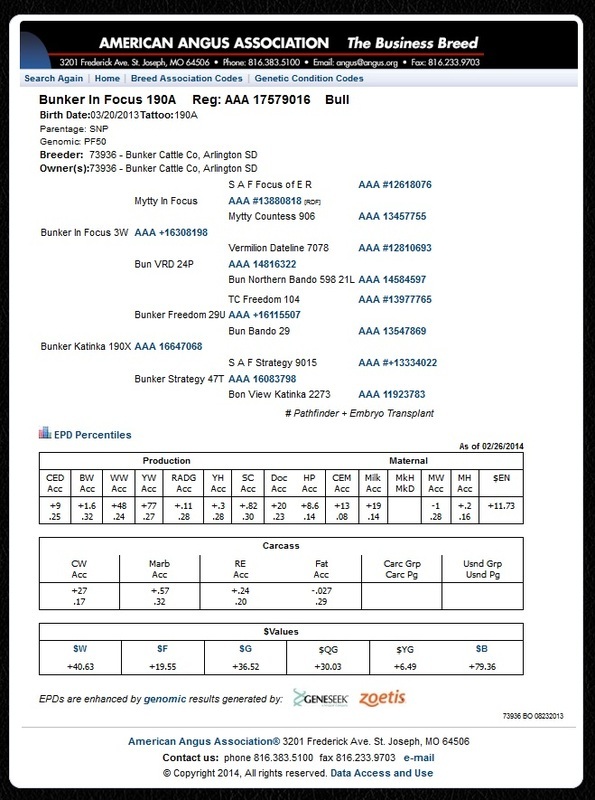 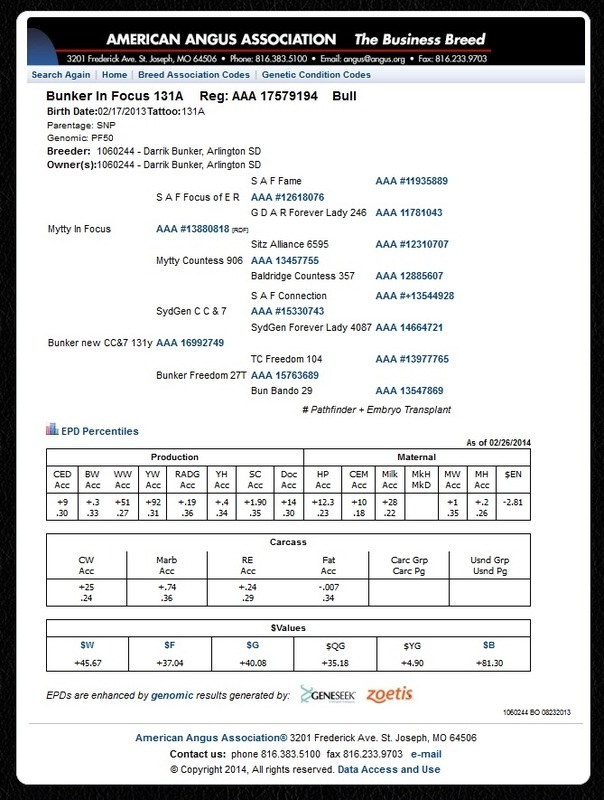 This is a new pedigree that I have used I really like the feed efficiency along with his weaning weight and yearling weight. 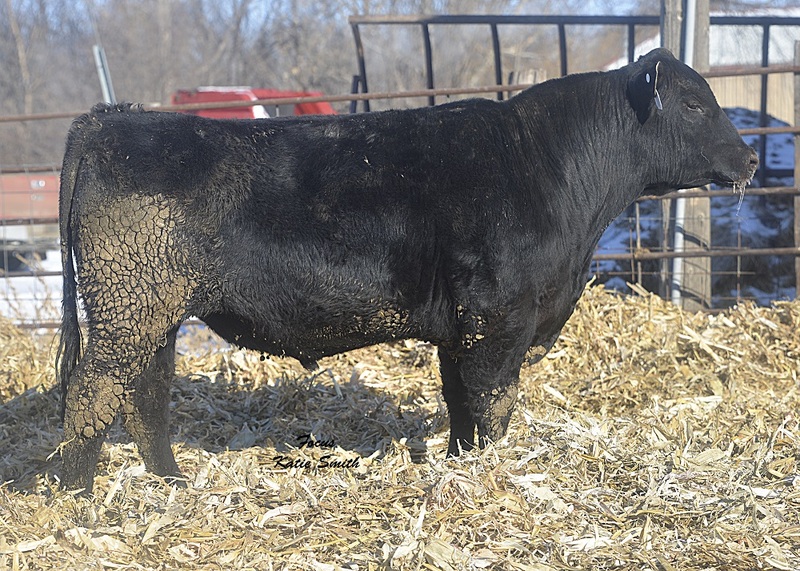 This is a very massive bull, which will add weight and milk to heifers that you retain. Definite heifer bulls with a lot of style and he is in top 20% of breed for heifer pregnancy and calving ease maternal and Milk. 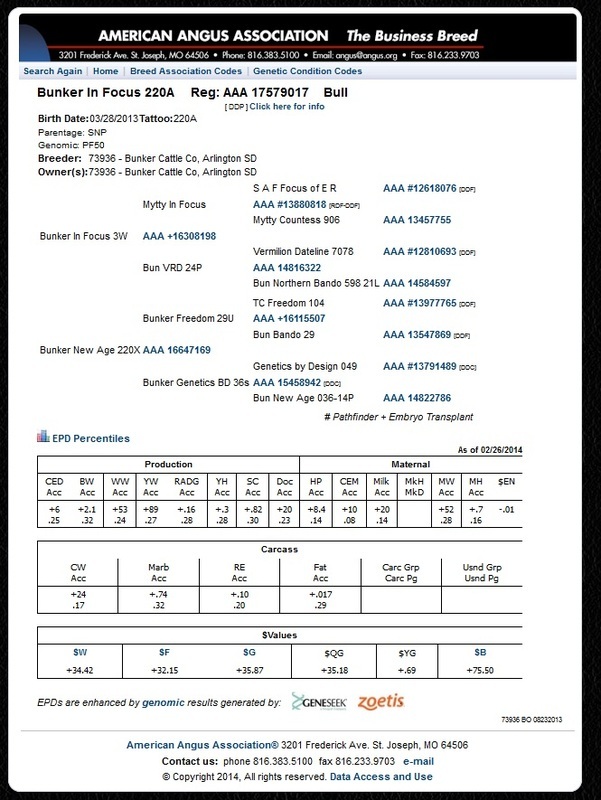 A great heifer bull with a huge scrotal and weaning weight and outstanding EPD’s. 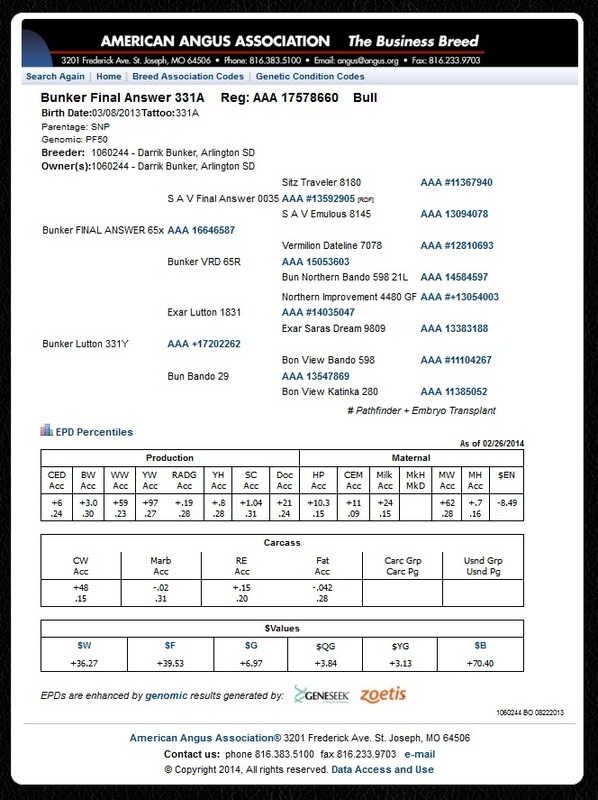 Anther great heifer bull with scrotal and docility in the top 2% of the breed along with carcass in the top 25% of the breed. 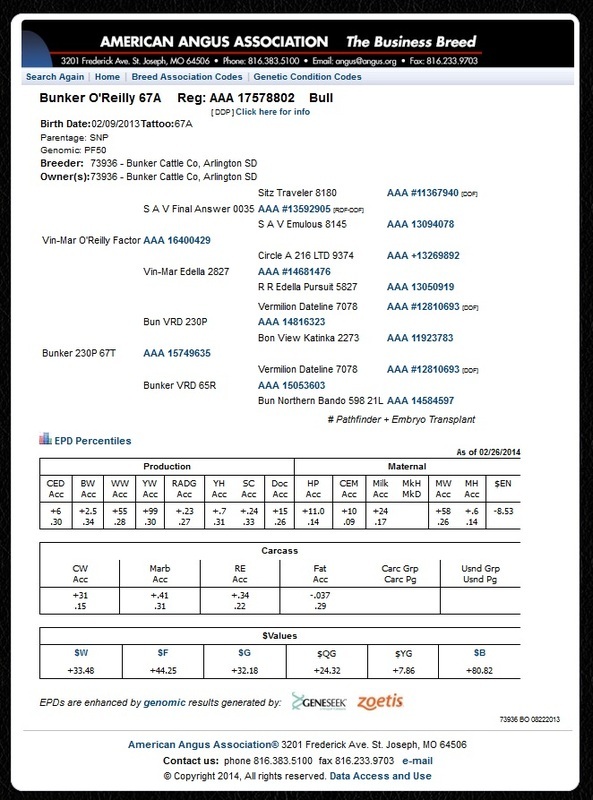 Great heifer bull that will still wein calves in top 25 % of the breed docility in the top 5% of breed and heifer pregnancy in top 10% of the breed and milk in the top 15% of the breed a must for retaining heifers. 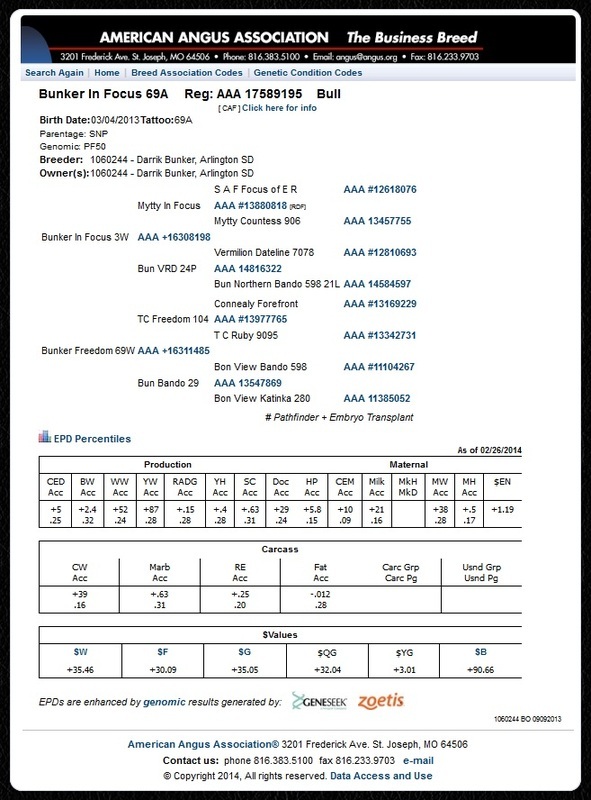 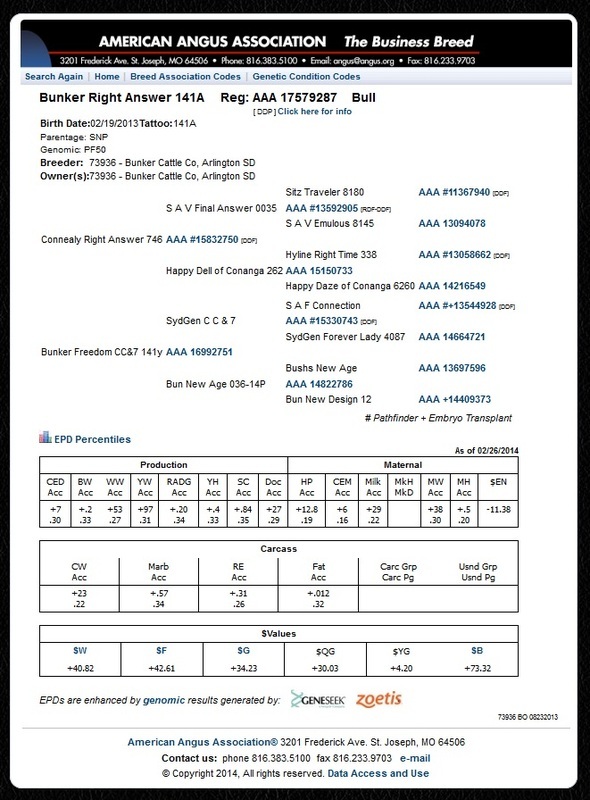 Great heifer bull with calving ease direct y ww feeding efficiency scrotal all up in the upper end of the breed. 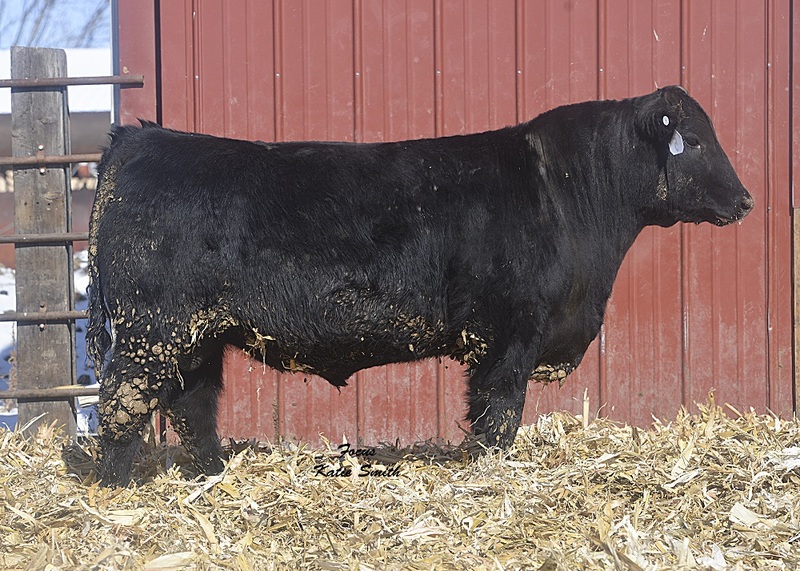 This is a very massive bull you will really enjoy him; he also has great EPD’s. 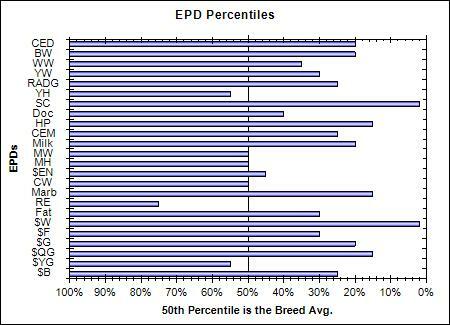 Another great heifer bull with docility in the top 2% of the breed scrotal in the top 10% and uniform EPD’s. 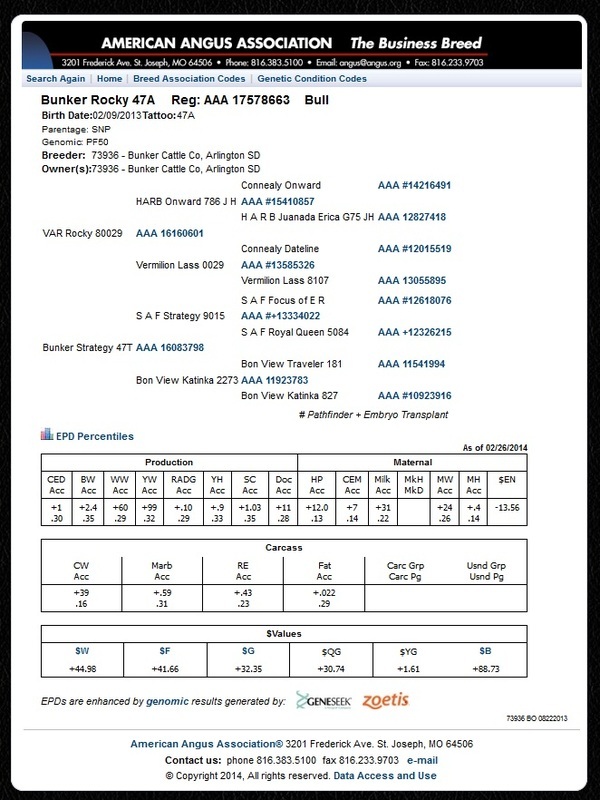 This is a really nice bull that does a lot of things right that I bought out of a cow from the XCR ranch dispersal from Hendricks MN. 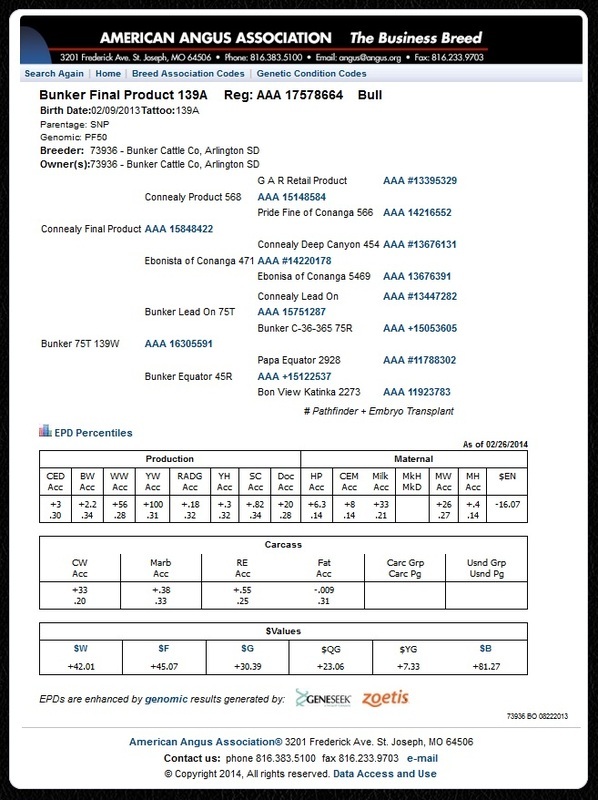 Use this bull on cows with confidence, with great yw, ww and carcass weight with your cows. 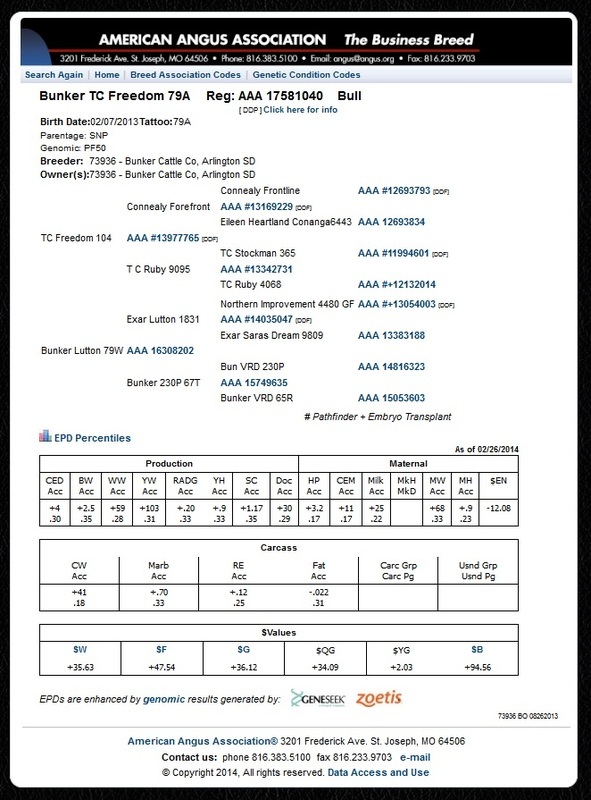 This is out of the fanciest heifer out of my 2009 calf crop, with great docility and great carcass value. 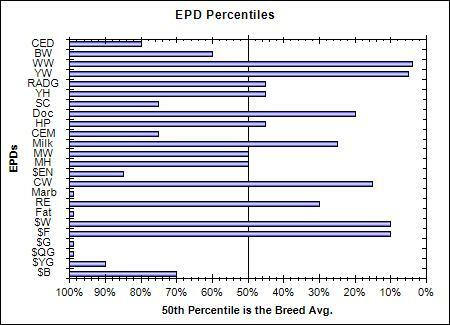 Very uniform bull, ww, yw, scrotal, docility and heifer pregnancy all great EPD’s. 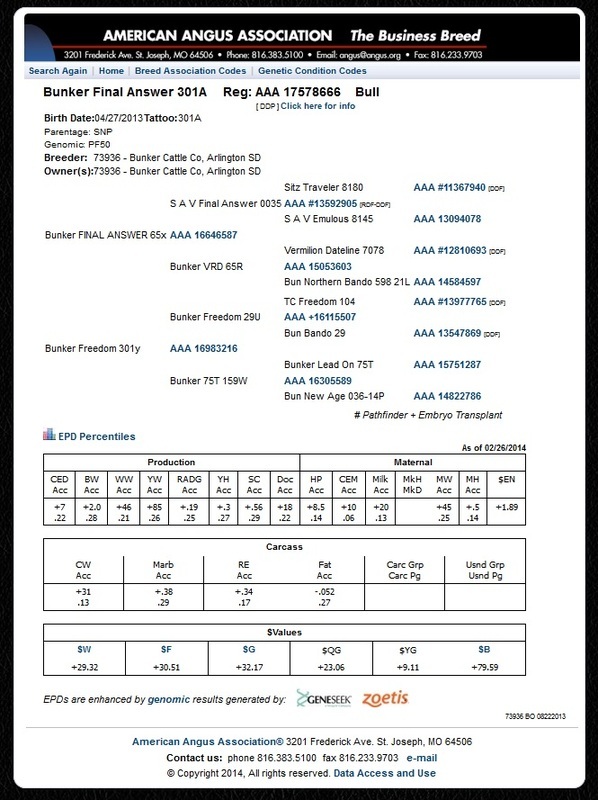 This bull will work great out of the famous bull Final Answer Sire. 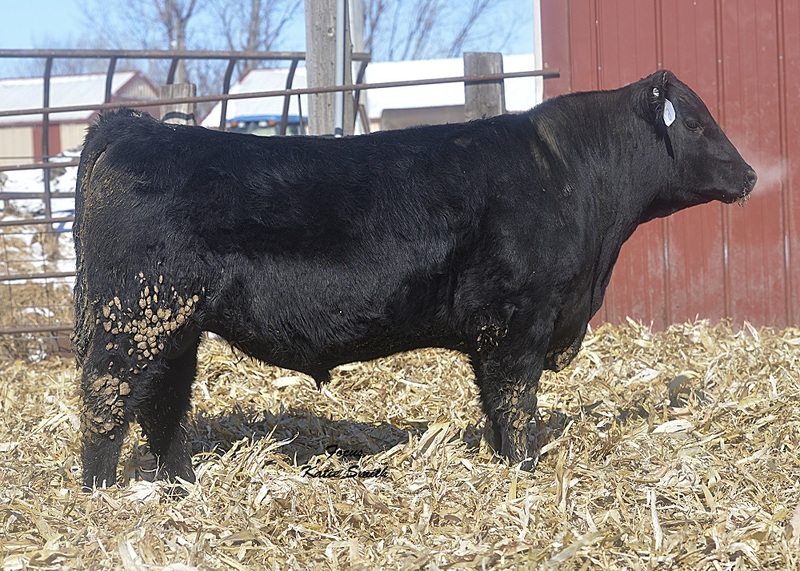 Another calving ease bull with great docility and out of a very massive cow. 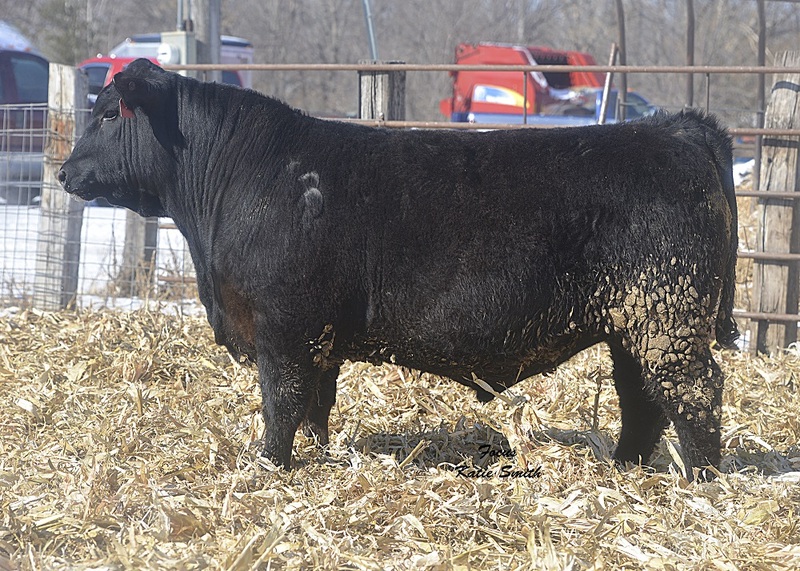 This bull has great style good ww and docility and could be used as a carcass bull. 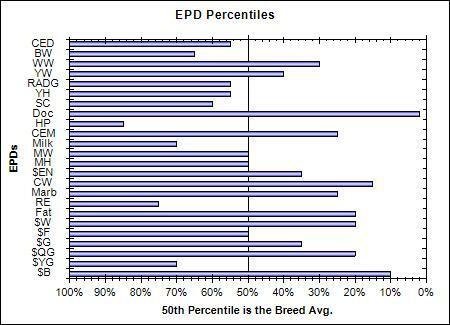 Use this bull on your cows to increase ww and yw with great docility and calving ease maternal. 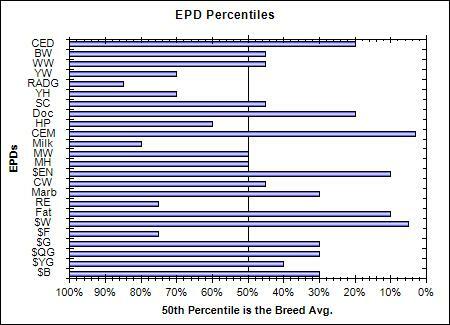 Great Uniform EPD’s with majority in the top 23% of the breed very uniform calf. 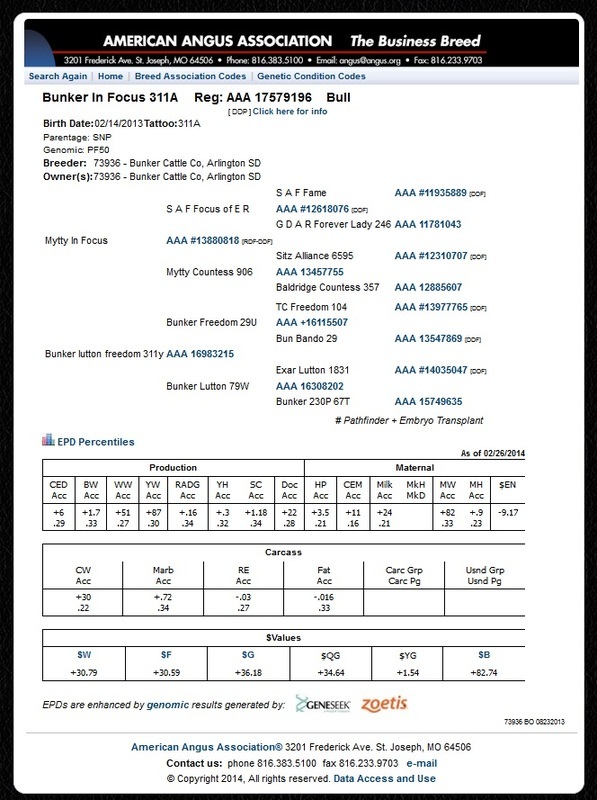 Good heifer bull with great calving ease maternal and docility along with carcass data. 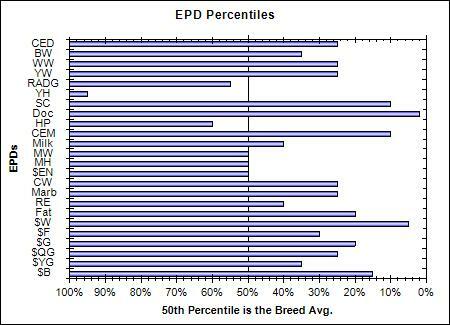 Great docility with this bull in the top 10% of the breed for dollars Energy Needs. Heifer bull, I would recommend he has good balanced EPD’s. 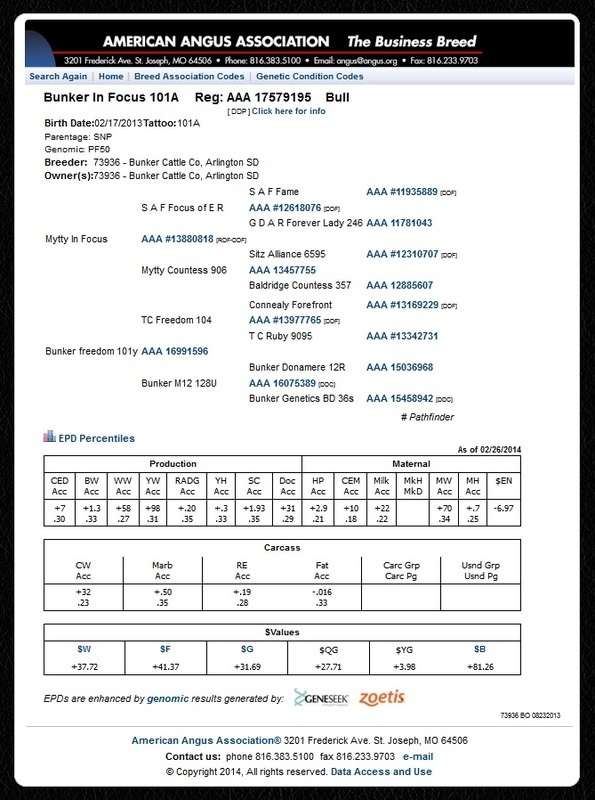 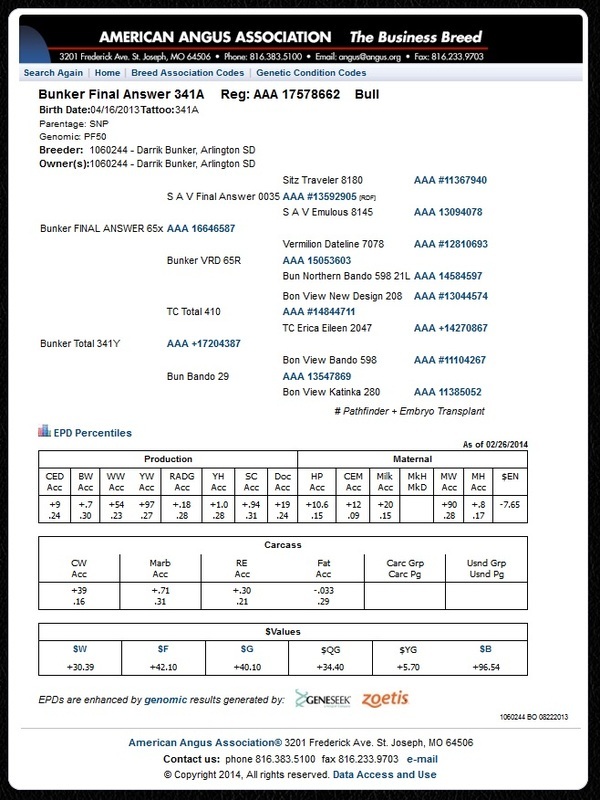 Great heifer bull for ww, yw, carcass, feeding efficiency, good bull across the board. 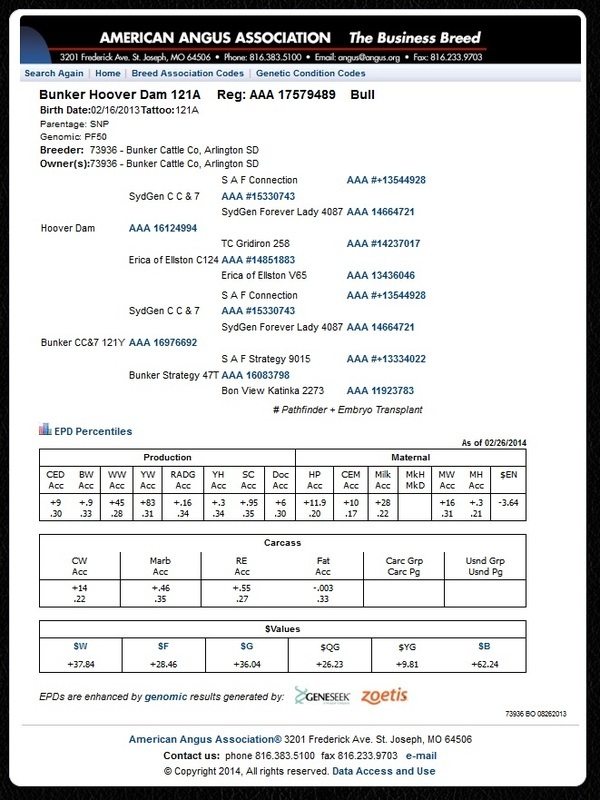 Another heifer bull with great feeding weight EPD’s along with carcass EPD’s.